Tool to write words upside down with a calculator. Also known as BEGHILOS spelling/writing as this word contains all letters which can be read upside down using digits on a calculator (or any 7-segment display). Team dCode likes feedback and relevant comments; to get an answer give an email (not published). It is thanks to you that dCode has the best BEGHILOS Calculator Spelling tool. Thank you. Each letter is associated to a digit, it is a substitution, limited to characters B E G H I L O S Z corresponding to 9 digits respectively 836417052. The message is then written backward (to be read, with a 180° rotation). Decryption is made with an upside down reading or a replacement of the digits with the letters 8 3 6 4 1 7 0 5 2 = B E G H I L O S Z then a backward writing. How to recognize a BEGHILOS ciphertext? The message has mainly 3, 1, 5 and 0 characters. 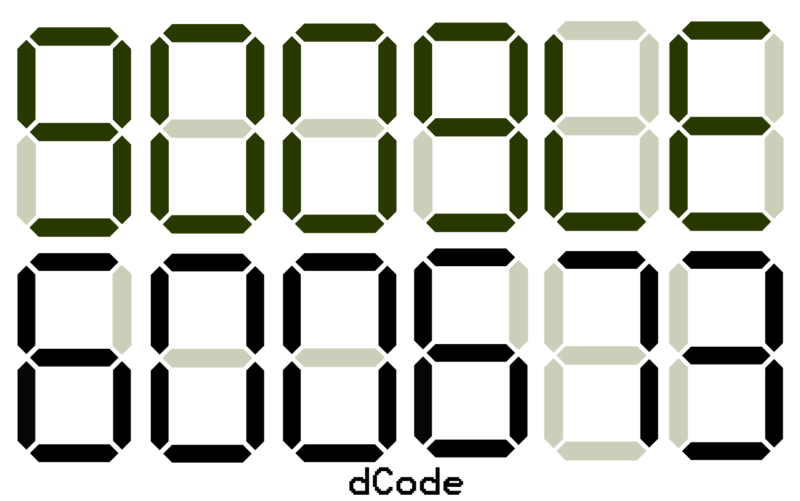 The numbers or letters should be similar to a 7-segment display. Why it does not work with all words? Only words with BEGHILOSZ letters are correctly working. Use the longest word solver to find all possible words such as : BOBSLEIGH, ELIGIBLE, BIOLOGIES etc. Improve the BEGHILOS Calculator Spelling page!